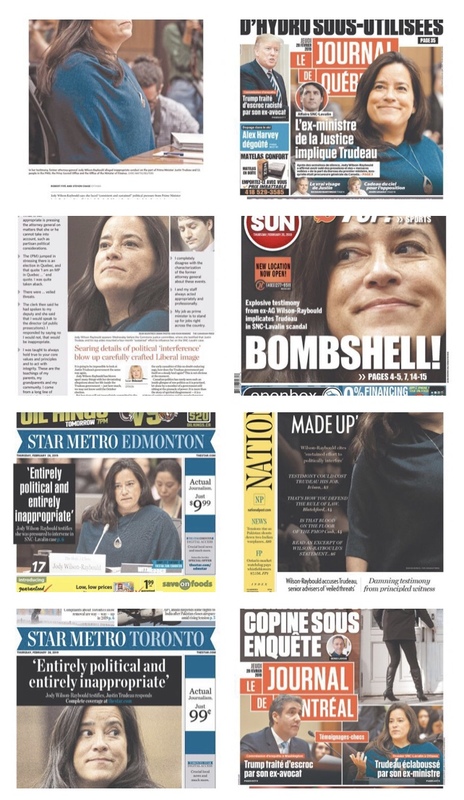 The sleaze drips from everyone and everything involved with this whole sordid SNC Lavalin affair. That there can be ANY possibility that a DPA is still in play for these creeps shows that “Sunny Ways”, “Rule of Law” and “Doing Politics Differently” are, to Trudeau and his staff, just random words pulled from a dictionary and strung together because they sounded good. Vile, unprincipled hypocrites, the whole lot of them. Trudeau MUST win Quebec. And he has a chance at governing again even if he wins fewer seats than the Conservatives. He knows that. He and Horgan are good friends and Trudeau has learned how well that has worked for Mr. Horgan! Those of you who will vote for the Greens realize that if the Greens pick up a number of seats and they can because Ms. May is becoming popular, then a Trudeau/Green coalition will put Trudeau in power again. Will that be better than a Conservative win? How bad is what we don’t know compared to what we do know? The thought process has to be that its better to lose an election and disappear rather then fess up to the entire truth and face the consequences now. So, how bad is it, and, do they really think the media wont follow this scent? The conspiracy theorist in me is thinking that a few insiders know the truth, but, even leaking rumors right now is dangerous. $30,000 for escorts. Because its 2019. 3 months though – that’s only $300 / day – at least he probably stayed within the budget for that. Thanks for keeping this story in the news cycle during the last few weeks, as JT and his gang tried to wait it out…. This whole thing stinks so much even the CBC has finally taken notice… Some of my “progressive” friends still refuse to admit this is more then a minor scandal, and always point to the possible election of Scheer as a reason to hold your nose and re-elect Justin…. It seems to me that at this point, it’s not a matter of left or right anymore, and a government that is ready to overlook or condone this kind of corruption needs to be removed from office…. Any chance that Justin and his Comms team were working in Notre Dame Cathedral today?